You may have heard about people fasting for religious reasons, or you may have friends who have tried fasting in the past for weight loss. Fasting might be something you’ve never considered, but intermittent fasting is a health trend that is only growing in popularity. It’s popular for a reason, so you may want to arm yourself with some knowledge and give it some consideration for weight loss and good health. Before you consider giving it a try, you should first understand what it is. This form of fasting is not actually a diet plan. Instead, it’s a schedule or pattern of eating. Although many people restrict their calories during the periods when they do eat, you don’t have to do so to enjoy some of the benefits. Basically, to begin this type of fasting, you have to be willing to change your regular eating routine and abstain from eating during certain periods of time out of a 24-hour day or out of an entire week. For example, the most popular form of fasting is the 16/8 method. Also known as the Leangains protocol, this eating schedule involves only eating during an eight-hour period out of a 24-hour day. Most people who follow this schedule avoid eating breakfast and only eat during a pre-determined eight-hour period throughout the day. For example, you might choose to eat all of your meals and snacks between 1:00 in the afternoon and 9:00 at night. Some people choose to fast for entire 24-hour periods at a time. Another example, the Eat-Stop-Eat method is popular among those who want to enjoy the benefits of occasional fasting. With this plan, you will eat normally for several days out of the week, but for one or two 24-hour periods out of the week, you will fast completely. Getting used to eating with a new schedule can be challenging, but for many people it can be much easier than following a strict diet plan. It can also be very effective, although it’s important not to overcompensate for any missed meals or snacks by consuming more calories during the determined eating period than you normally would. You might be wondering why it’s a good idea to try this type of eating? It actually has a few benefits. For one thing, since you will be eliminating hours worth of eating out of each day, you will most likely reduce your daily calorie intake. Using the 16/8 method can help you cut out any unhealthy eating that you might do late at night. Because of this calorie reduction, you may find that you lose weight, even if you eat all of your favorite foods during the eating hours of your plan. Because you will not be consuming food for as many hours out of the day or week as you normally do, you will likely notice a boost in your metabolism once you try following a particular form of intermittent fasting. This will increase your energy and help you lose weight. Studies show that the benefits of following a scheduled pattern of eating or fasting can be even better than what was originally thought. Your mitochondria — which are the energy-producing shapes within your cells — will actually begin to change and increase once you follow a schedule of eating and fast for certain periods throughout the day or week. This can lead to a longer, healthier lifespan. 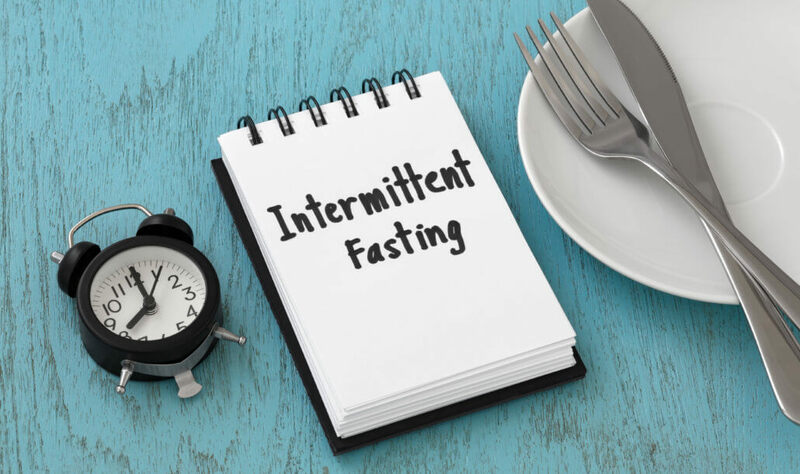 For some, perhaps the best benefit of intermittent fasting is the fact that you can still enjoy many of your favorite foods, while enjoying the benefits of weight loss, increased energy and improved overall health. You can experience even greater results by striving to eat a healthier diet and including an exercise regimen. Because of the metabolism, weight loss and energy benefits you can enjoy from intermittent fasting, you may be thinking about giving it a try. It’s always a good idea to consult your doctor before changing your lifestyle in this way. Your doctor can help you determine if intermittent fasting is right for you, give you tips for doing it effectively, safely and talk to you about some of the benefits. Intermittent fasting may not be right for you if you have ever suffered from an eating disorder, it could be dangerous for you to try such a drastic change in your eating habits. It can also be dangerous for diabetics, pregnant women or anyone who may have previously tried this method eating and their health was negatively affected. All the above being said, once you have been cleared by your doctor, give intermittent fasting a try and before you know it, you will begin noticing a big difference in how you look and feel.